Carolyn has worked with children in a variety of settings, including school districts, in-home for early intervention services, hospitals and private clinics. She is experienced in working with children ages 0 to 18 with a variety of diagnoses. Her treatments have practical strategies for improving classroom participation and performance, sensory integration therapy, motor coordination intervention, self-regulation and social skills intervention, feeding intervention and handwriting intervention. Carolyn strongly believes that treatment is most effective when the therapist, the child’s family and school work together to formulate goals using the child’s occupations (interests and/or motivators) and unique abilities as a means towards achieving those goals and raising the child's self-confidence and happiness. Master’s degree in Occupational Therapy from Samuel Merritt University, 2005. Mandy has worked with children and families in a variety of settings throughout her career including schools, mental health agencies and the Juvenile Court system. Mandy believes that children and their families can benefit from a variety of support. Mandy is passionate about the needs of families and supporting those needs through quality treatment and education with the collaboration of parents, teachers and other helping professionals. Kat has 10+ years of experience teaching in preschools, after-school programs, and occupational therapy clinics. She loves working with children of all ages and abilities and is passionate about providing fun, developmentally appropriate, opportunities for children to learn, grow, and engage in the world around them. Kat trains therapists and leads groups in the Zones or Regulation program and Size Matters Handwriting program. She runs handwriting and self-regulation camps and small groups and assists in feeding sessions, and direct therapy sessions. Kat supports all of the parents, therapists and children of Capital Kids! Stephanie particularly enjoys working with young children to accomplish educational milestones. In addition to providing intervention for children, Stephanie loves teaching educators and parents about motor development and sensory processing through her educational workshop series. When she's not playing with children at work, Stephanie is frequently playing with her own children at home. She shares with families, "Parenthood has given me the insight that if something isn’t easy to incorporate into a daily routine, it simply won’t get done. In my home, I serve up writing practice and fine motor activities at mealtimes, pack it into car trips, and tuck it into bedtime routines. Adding things to the daily grind has become second nature to me. Like most parents, I am juggling a lot, so I especially like to share professional strategies that are easy, inexpensive, and fun for a parent or teacher to incorporate into their daily routines." Play is central in a child’s development, so at the very heart of everything she does, Stephanie helps young children develop individual skills through purposeful play. 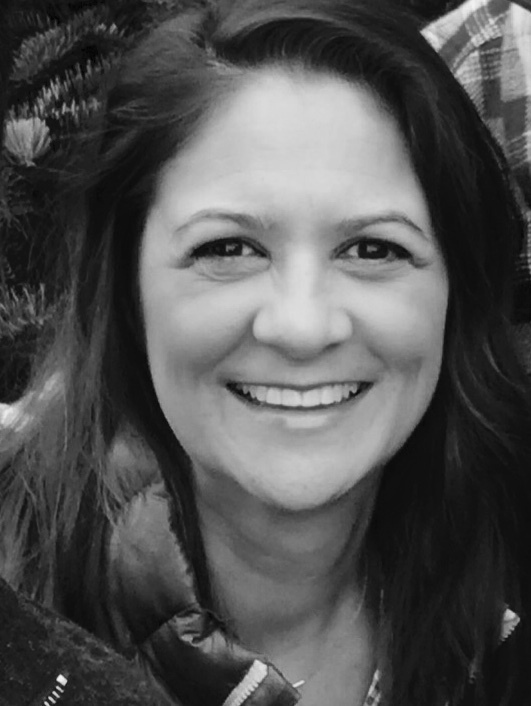 Stephanie has over 17 years of experience as a practicing occupational therapist, holds a Masters Degree in Occupational Therapy from the University of Southern California, and keeps current on the latest research and best practices. Heidi is a creative and committed therapist with a strong passion for working with children and their families. She believes it is important to collaborate with parents and use activities that the child is interested in to further develop and gain new skills. Heidi is skilled at addressing emotional regulation, feeding, handwriting, visual-motor integration, and sensory processing. Heidi's professional goal is to help families and children function at their highest capacity, integrating the physical, emotional, social, and spiritual components of an individual. Tiffany has worked with adults in various settings from inpatient acute rehab to skilled nursing facilities. She enjoys being able to help people of all ages achieve their occupational goals and believes in the importance of collaborating closely with families, teachers, and other therapy disciplines. She is grateful to have the opportunity to work with the children at Capital KIDS! She completed her level II fieldwork at a pediatric clinic where she had experience working with children with autism spectrum disorder, Down syndrome, and developmental delays through the use of sensory integration and feeding interventions. She also completed a level I fieldwork with the Alhambra Unified School District. Masters of Science in Occupational Therapy form the University of Southern California in 2015. Shelly received her licensing in 2015 and completed her level II fieldwork in the Davis Joint Unified School District where she was trained under Stephanie Roberts, MOT, OTR/L and Carolyn Stallings, MOT, OTR/L. Her creativity, her natural gift for working with children and her passion for researching and understanding various diagnoses helped to her to quickly develop into a skilled clinician. After staying home with her own young children for several years, Shelly decided to make working with kids her full time career and we are so fortunate to have her at Capital KIDS. Shelly finds much joy in creating fun, individualized, child-based activities to help kids of all ages and abilities reach their therapeutic goals. Shelly is trained in Size Matters Handwriting Program developed by Beverly Moskowitz, DOT, MS OTR/L. Christy Copley is a COTA with 20+ years of experience working with children as well as adults in a variety of settings. She enjoys helping children with fine motor tasks, handwriting skills, planning, problem solving, visual-motor skills, sensory processing, motor planning as well as social skills. She’s has experience treating children with autism spectrum disorder, developmental delays, and traumatic brain injury. Her varied background has taught her the importance of being present, to meet each child where he/she is at in the moment to find that just right challenge. She enjoys working with all ages and abilities. Christy completed the OTA Program at Sacramento City College where she received her COTA certification. Christy graduated from UC Davis with a BS in Human Development and a minor in Spanish. Sandra is a graduate of the OTA Program at Sacramento City College. Occupational Therapy is Sandra's second career and she couldn't be happier to fulfill her dream of working with children full time after raising children of her own. Sandra has a passion for working with children with all types of needs and challenges. She is skilled at presenting and educating parents and staff on subjects related to occupational therapy. She is loved by her students and clients and is particularly advanced trained in working with children with fine motor and handwriting challenges, self-regulation challenges and executive functioning disorders. Sheri Thorpe is a graduate of the OTA Program at Sacramento City College. She has had many wonderful years of experience working in different capacities with children and young adults, ranging in age from 3-19, all with varying levels of ability, and varying types and degrees of disability. She has worked with children in a variety of settings and environments, including in-home, nonpublic and public schools, the community, a hospital, and a private clinic. She has had the unique pleasure of creating and developing an Adapted Physical Education program at a nonpublic school for children with autism in my capacity as Adapted Physical Education Specialist for 6 years. Her additional experience includes student teaching, substitute teaching, tutoring, coaching, and volunteering in a variety of environments. Upon certification and licensing, she’s excited to start utilizing her newly acquired OTA skills, in combination with my Adapted P.E. skills, to create optimum experiences and opportunities for the children that she provides services to. Allison loves children and feels fortunate to be a pediatric Speech Language Pathologist. During her education, Allison sought out opportunities that would make her a well-rounded clinician, including a school based internship as well as a hospital externship at a Level 1 Trauma Center. Since graduation, Allison’s focus has been on pediatric clientele. She has worked mainly in public school settings. She has had extensive training, interest, and experience working with students with Learning Disorders, Intellectual Disabilities, and children on the Autism Spectrum. She specializes in articulation/phonology, receptive and expressive language and social/pragmatic language. Her approach to assessment and intervention is family centered with careful attention to families' priorities and concerns while developing meaningful learning opportunities, teaching strategies and offering feedback. She believes therapy should be functional and fun. She takes the time to get to know each child and finds creative ways to help them achieve success. When she is not juggling various clinical and administrative challenges, she enjoys traveling the world with her wonderful husband. Certificate of Clinical Competency from the American Speech-Language-Hearing Association. Audrey’s favorite part of being a pediatric Speech Language Pathologist has been building relationships with her clients and families and seeing progress towards their goals. Her experience in the public school setting has given her opportunities to work with children from a variety of backgrounds with a wide range of speech and language needs. Her experience has focused on children with articulation/phonological disorders, language delays, pragmatic/social skills impairments, and stuttering as well working with students with Autism, Specific Learning Disabilities, Down syndrome, and other health impairments. Audrey knows the value of educating families and equipping them with skills to help facilitate learning opportunities at home to contribute to generalized success towards their child’s speech and language goals. She strives to create engaging therapy that focuses on Evidence Based Practice. When she is not working, Audrey enjoys traveling, spending time with her friends and family, and hanging out with her pet bunny, Maybel. 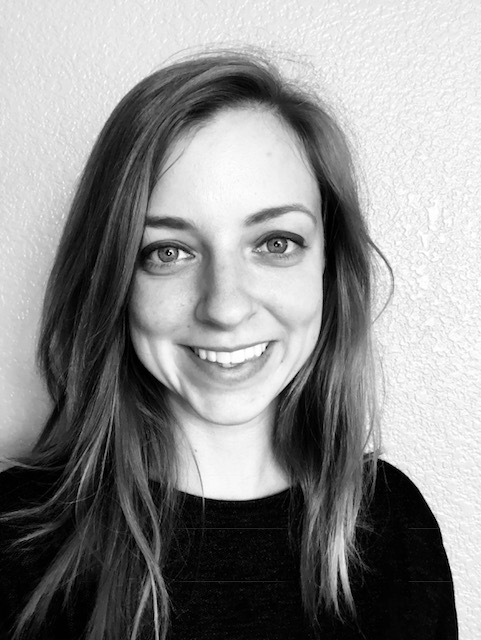 Audrey is a double alumna of California State University, Sacramento where she received her Bachelor's degree in Speech Pathology and Audiology and her Master's degree in Speech Pathology. She also holds a Certificate of Clinical Competency from the American Speech-Language-Hearing Association. Caitlin Kynett is an OTA with a dual background and education in speech pathology and occupational therapy. Caitlin holds a BS in speech pathology and audiology from CSUS and a certification in occupational therapy from St. Catherine's University. Prior to beginning her career in OT, Caitlin worked as an instructional assistant in a special education school and provided in-home services for children with autism spectrum disorders. Caitlin has extensive experience working with children with various challenges and is passionate about helping children meet their goals toward development and success! Children and teachers love working with Caitlin. She is great at working with children with particularly challenging behaviors, fine motor and handwriting difficulties and sensory processing challenges. Diana is passionate about occupational therapy. She believes the profession helps to empower people to reach their full potential and also allows her to be creative when providing client care. Tiana graduated from the University of Southern California with her Doctorate in Occupational Therapy, where she developed a feeding curriculum for her capstone project. She has experience working with children in a variety of settings including: acute care, schools, early intervention, inpatient rehab and outpatient. She has her sensory integration and praxis test certification and enjoys working with children to achieve their milestones by incorporating diverse therapy interventions through play. Tiana believes the most rewarding aspect of being an OT is the moment the child smiles and feels confident because the child has successfully completed a difficult task for the first time. Rachel is a registered and licensed occupational therapist at Capital Kids Occupational Therapy. She received her Masters of Science in Occupational Therapy from University of St. Augustine San Marcos Campus. She completed her fieldwork in a pediatric setting using everyday activities while incorporating sensory integration to help children develop life skills in order to participate in the things they want and need to do. She is excited to have the opportunity to continue to work with children to provide services in order to allow each individual to live his/her life to the fullest. 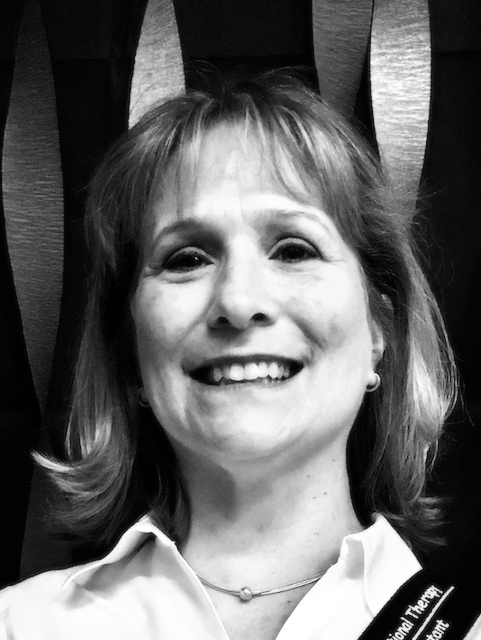 Jacquie has been a practicing Pediatric Speech Language Pathologist for over 25 years. Working in the public school setting gave her the opportunity to work with children from many backgrounds with diverse needs. Jacquie strives to make therapy fun so the client enjoys him or herself and wants to come back the next time. She loves working with children and is excited when she sees their communication skills improve. While working in the public school setting she saw the positive impact improving communication skills had both socially and academically for her students. Jacquie believes communication with parents is key for the child's progress. She specializes in articulation/phonology and receptive and expressive language skills. When she's not working she enjoys traveling with her husband, exploring restaurants and creating art with clay. Jacquie received both her Bachelor of Science and Master of Science degrees in Speech Pathology and Audiology at California State University, Sacramento. In addition she holds a Certificate of Clinical Competence from the American Speech-Language-Hearing Association.